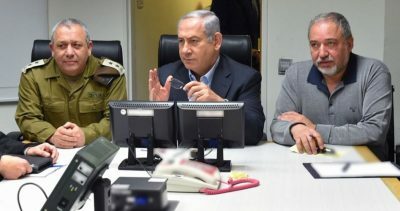 The Israeli Security Cabinet discussed on Wednesday the death penalty bill against Palestinians who carry out anti-occupation attacks. However, no final decision has been approved. “There is no reason for us to be more enlightened than the US and Japan in their wars against “terrorism”. The bill, which stipulates the amendment of an existing legislation regulating the use of the death sentence, passed its preliminary reading in Israel’s parliament, the Knesset, last January. The Israeli bill aims at making it easier for judges to hand out the death penalty for “terrorist activity”. It has been condemned as “fascist” by Palestinian politicians and rights groups, who fear it will give Israel legal cover to target Palestinians.